Pro Co Excellines EXMN-5 XLR to XLR Microphone Cable. 5 ft. Pro Co Excellines EXMN-50 XLR to XLR Microphone Cable. 50 ft. Pro Co Excellines EXMN-30 XLR to XLR Microphone Cable. 30 ft. Pro Co Excellines EXMN-3 XLR to XLR Microphone Cable. 3 ft. Pro Co Excellines EXMN-20 XLR to XLR Microphone Cable. 20 ft. 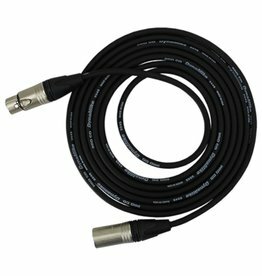 Pro Co Excellines EXMN-10 XLR to XLR Microphone Cable. 10 ft. 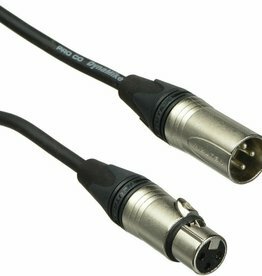 Pro Co Excellines EXMN-25 XLR to XLR Microphone Cable. 25 ft. Pro Co Excellines EXMN-100 XLR to XLR Microphone Cable. 100 ft. Pro Co Excellines EXMN-15 XLR to XLR Microphone Cable. 15 ft.